Mono pressing. Tracks 1-6 on side 1 and tracks 7-12 on side 2. 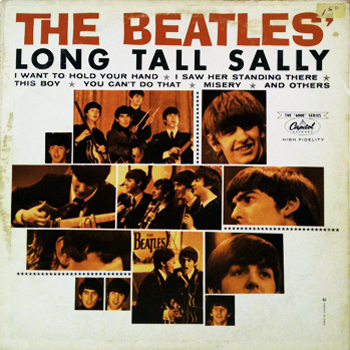 After this LP, the Canadian LPs followed the US releases.Tracks 3-5 and 9 were also on the first Canadian Beatles LP: Beatlemania With The Beatles. 1966 pressing with jacket variation CCAN 6063.MC1 and record label variation CCAN 6063.MR2.